If you are looking for a more convenient and quicker way of sending an email, you will certainly love this app we’re about to present to you. The app that we are talking about is called Quick Email, developed by Godai Group and launched on the iOS platform. 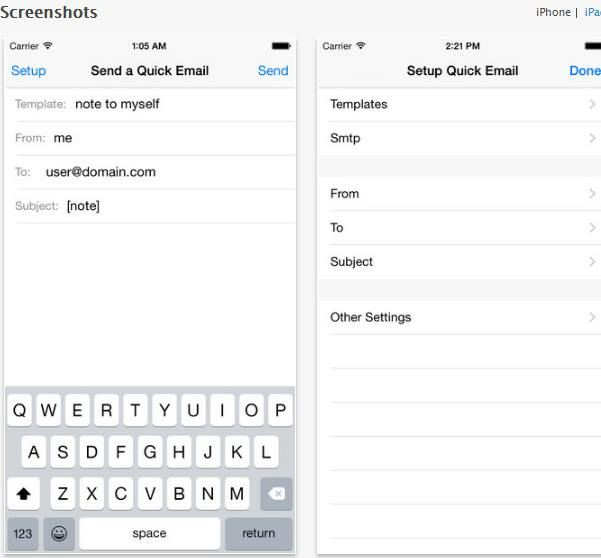 With useful features and friendly user interface, this app is one of the easiest and fastest ways to send email. 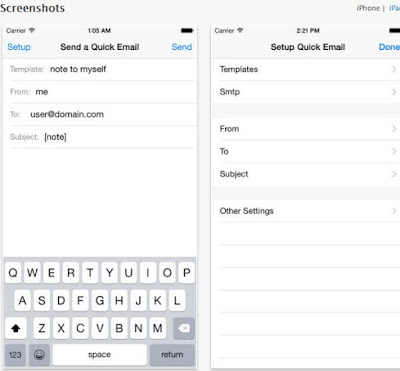 The Quick Email app is compatible with both iPhone and iPad. With it, you can send an email to anyone you like or to yourself. Send notes, links, or anything interesting you find online, send it to yourself with an ease and use them later. The templates that the app offers can be sent to an individual or to a certain group of people. Create a template and forget about the struggle of re-writing the subjects and recipients all the time. There is no need for opening your inbox or any other mail app, Quick Email supports Google Gmail, Yahoo, Hotmail, Ymail, and other services with a built-in SMTP client. After you download the app, you will see that it is easy to use and it offers practical and efficient features for quickly sending an email to your friends, family, clients, etc. You can get it for only $1.99 from the App Store.